Enter a Name, Rank, or Medal Number. Or any combination thereof, example: Surname = Parker and Rank = Major. Numbers on US medals come in three varieties: No.1234, 1234, and M.No.1234. The first two varieties are usually traceable, the last is not. The rolls presented here are only for No-prefixed numbers or "plain" numbered (i.e., no prefix), the rolls do not contain M.No.-prefixed numbers. 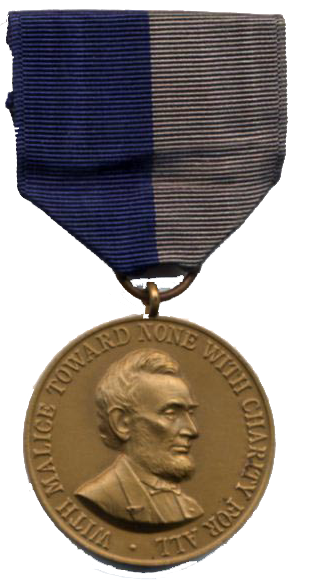 The Army Civil War Medal is considered the first campaign service medal of the United States Army. The decoration was awarded to members of the United States Army who had served in the American Civil War between 1861 and 1865. The medal was first authorized in 1905 for the fortieth anniversary of the Civil War's conclusion.